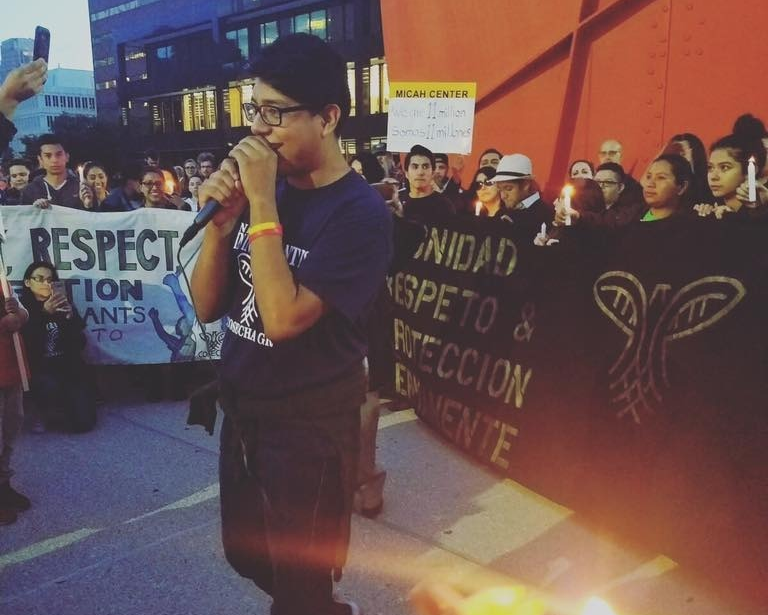 An outspoken young activist leader in Grand Rapids’ immigrant rights community will remain in custody after an immigration judge denied him bond Friday. Twenty-two-year-old Brandon Reyes is a “Dreamer,” and participant in the Deferred Action on Childhood Arrivals (DACA), the government program that protects some young, undocumented people who were brought to the U.S. illegally as children from deportation. Reyes was brought to the U.S. from Mexico at age eight and grew up in Grand Rapids. But he’s been in custody and in jeopardy of deportation after immigration enforcement arrested him in February. That’s supposedly because he was convicted of a drunk driving misdemeanor months before. Now Reyes will remain in detention after a judge denied him bond at a hearing in Detroit’s federal immigration court Friday. He’s being held at the Calhoun County Jail. Gema Lowe has worked with Reyes in the immigrant rights group Moviemiento Cosecha Grand Rapids. Diego Bonesatti is with the group Michigan United. He says the judge did not deem Reyes a flight risk, but did deem him a potential danger to the community. Some members of Reyes’ family, including his mother Marilu, attended Friday’s bond hearing but did not speak to the media afterward. Marilu was arrested along with Brandon in February as an undocumented immigrant, but has since been released on bond. Reyes’ attorney did reserve the right to appeal the judge’s bond decision. But Bonesatti says that appeal might not have a chance to be heard before Reyes has a deportation hearing scheduled for May 22.